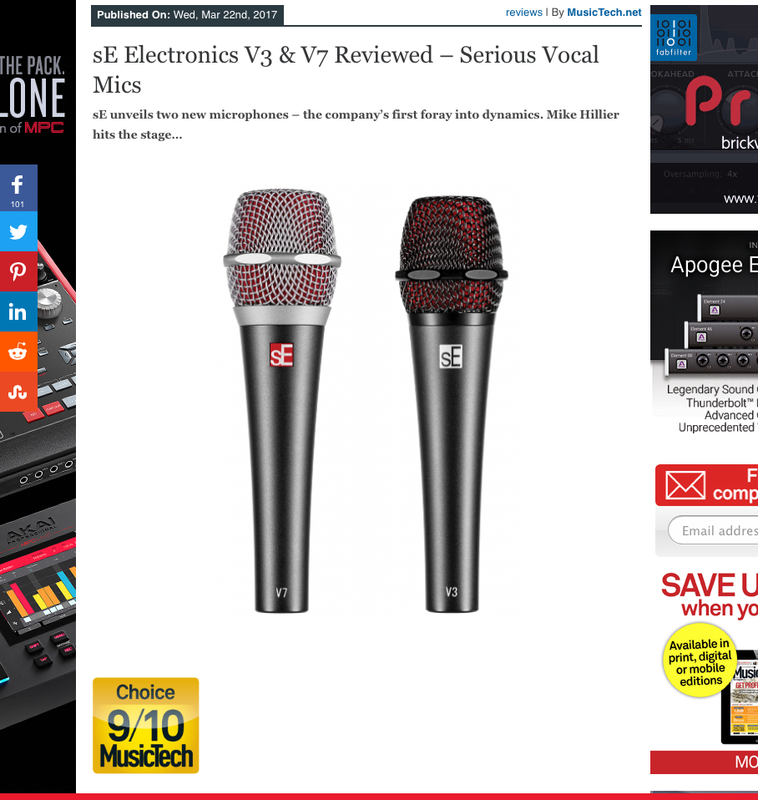 X1 S Studio Bundle: "A Fabulous Package"
"We’d even say the mic outdoes other vocal mics costing far more." "The RF-X Reflexion Filter does a great job of dampening room noise for vocalists, giving you a dry vocal sound to which you can add effects in the mix. In practice, we found it worked really well, getting the same result as far more expensive options." "...it’s no-brainer of a buy, especially if you’re just starting out." "...when we received not one but two new dynamic microphones from the company, we knew there had to be something exciting going on." "Feedback wasn’t an issue with either microphone. Even when the grille was inevitably cupped by the grip of an MC not yet schooled in proper mic technique, neither mic went into feedback." "With some high-pass filtering the V7 sounds solid and the midrange captures an aggressive bite, particularly in the 800Hz range that none of the others could compete with." "On snare, the huge bottom end of the V7 conjured a snare sound that could punch through walls...for big heavy snares, this mic is a must have." "The V7 is more refined, and will suit certain vocalists more than others, but if you record acoustic drums often, you owe it to yourself to at least give it a try on snare. It’s not perfect for every occasion, but it does have a sound all its own."